Home / Jobs / Apply for Nigerian Stock Exchange Graduate Trainee Programme. 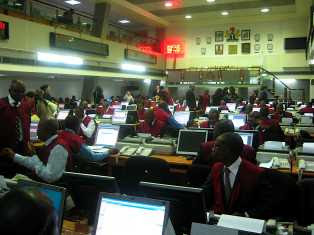 Apply for Nigerian Stock Exchange Graduate Trainee Programme. 1.Graduates from Nigerian and Foreign Universities. 2.Bachelor's Degree in any discipline. 3.Minimum of Second Class Upper Division (2.1). 4.Completion of NYSC between January and December, 2015. 5.Maximum age of 26 years by 31st December, 2015. FG to generate 2million jobs from ICT- Minister. Lagos state government speaks on lasser fever.